What are CPAP nasal masks for? 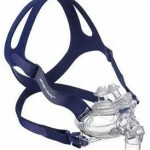 CPAP nasal masks are mostly used for stopping sleep apnea. These masks are connected to a CPAP machine via tubing. This machine delivers air which is pressurized, thereby preventing the apneas. The pressurized air varies for each patient, and only doctors are able to prescrible the correct pressure. Normally, these masks are made with cushions, in order to give the most comfort for first-timers. Cushions are commonly made in silicone, plastic, or gel. Some masks also come with nasal pillows. the mask from slipping while the person is asleep and to ensure that the patient’s mouse stays closed. As a note, CPA nasal masks can be cutomized for each person to ensure more comfortability. What is “sleep apnea” and “continuous positive airway pressure”? Sleep apnea, a sleeping disorder, has various symptoms. One of the most common symptoms is when a person stops breathing for a certain amount of time (usually for at least 10 seconds). Those who have this disorder experience some side effects. They may experience depression, morning headaches, anxiety, and much more. A person may never know that he or she suffers from sleep apnea unless another individual notices the symptoms while he or she is asleep. 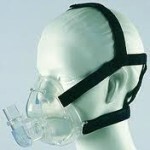 A person who has been diagnosed for sleep apnea will be prescribed with a nasal mask. Continuous positive airway pressure will help a person with sleep apnea get through the night. As a note, the acronym CPAP stands for just that – “continuous positive airway pressure”. Sleep apnea has two forms: obstructive sleep apnea or central sleep apnea. Obstructive sleep apnea is more common than the latter, and occurs when a person’s breathing passage closes while he or she sleeps. When this happens, the patient’s breathing stops for short periods before waking up multiple times during the night. On the other hand, central sleep apnea happens when the brain isn’t able to give the correct signals to our respiratory muscles, also causing the patient will stop breathing for seconds (or worse, minutes). Aside from the mask itself, another thing to consider are CPAP accessories. 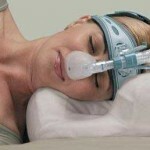 These accessories are important towards the treatment of sleep apnea. The main component of the equipment is the machine itself, but accessories are just as important. Cushions and nasal pillows, which were briefly mentioned before, are CPAP accessories that may help greatly. Another vital accessory are CPAP filters. These are essential in keeping the CPAP device running in a longer duration and keeping it more efficient in its purpose. These filters are able to collect dust and various other particles which enter the nostrils. A patient must remember that it is important to choose the best filter and that he or she should replace the filter at a regular interval to make sure that the machine pumps clean air. When choosing the right accessories, make sure that the products have excellent quality and that they are the correct choice for you. It is best to ask your doctor about choosing the right accessories. CPAP nasal masks and its accessories must be the right fit for its patient in order to ensure the best treatment.